Perhaps it's the fact that this weekend gave me a brief taste of the beautiful Carolina Spring weather, but when I awoke today to a cold, dreary morning, I wanted nothing more than to break out light fabrics, bright colors and prints, and buck the system. I didn't because it was 50 degrees and I'm a weather wuss and that's just crazy talk, but I did look up these beautiful pictures of J Crew's Spring line to remind me that Spring pretty is just around the corner. And lastly, thank you for your continued support and words of encouragement. Don't forget to vote for me here! got a jcrew gift card for christmas....what to buy!!?? Wow !!! Lovely sweater ! I just discover your blog and I'm folling in love with it ! Your style is so amazing !!!! I wonder if you come to see my mu blog and it likes you, maybe we could follow each other :-) Let me know ! you and me both girl!!! LOVING all the brightness! These make me so excited for Spring! I love all of the prints and bright colors. Tell me about it.. I want EVERYTHING from their Spring collection - I'm in love with the green flower print. And you're right - that sweater is bomb! :) I know you'll scoop up several pieces so I can't wait to see how you wear them!! I am majorly loving the look of their spring collection! So many fun colors and prints! Im addicted to what Ive seen so far!! Im in love with the patterns!! I am SO ready for warm weather too! That "darling" sweater is on the top of my list. Obsessed! 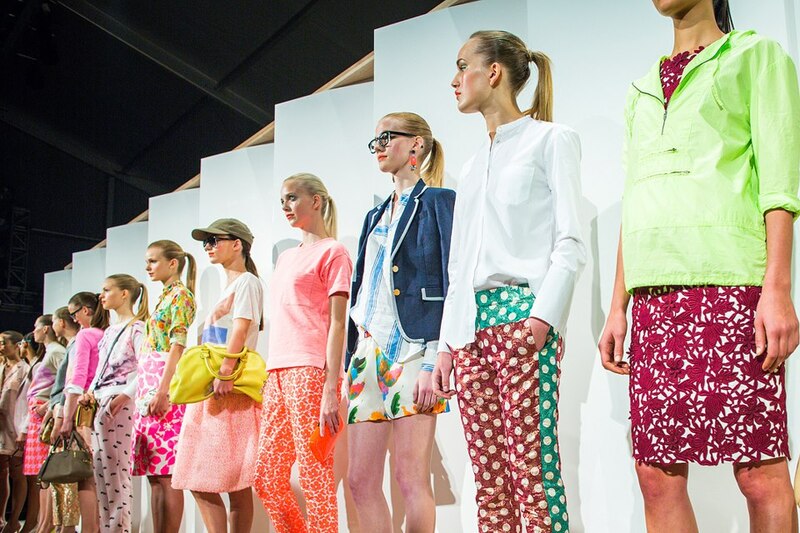 Yay for J.Crew spring!!! Can't wait for all the new pieces to hit stores. Such a perfect thing to do on a dreary winter day.